Join us for our first ever Amaro Society at Bar Clacson! The Campari Group will be pouring 4 of their delicious amaros and our neighbors at e Stretto will be providing delicious charcuterie for the evening. 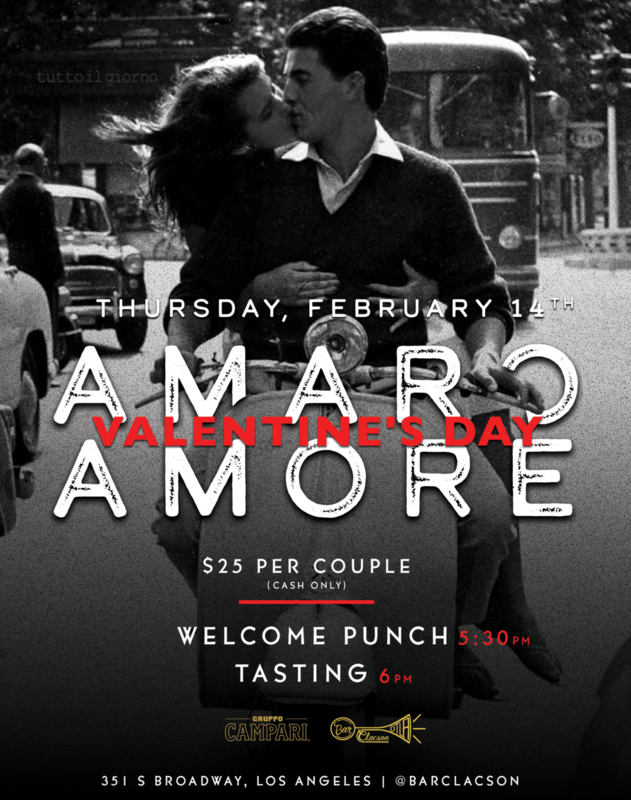 This special Valentine's Day tasting will be priced at $25 per couple. Welcome Punch will be served at 5:30pm, tasting will begin at 6pm. This will be a cash only event. Come in and join us for an aperitif before your dinner reservations!